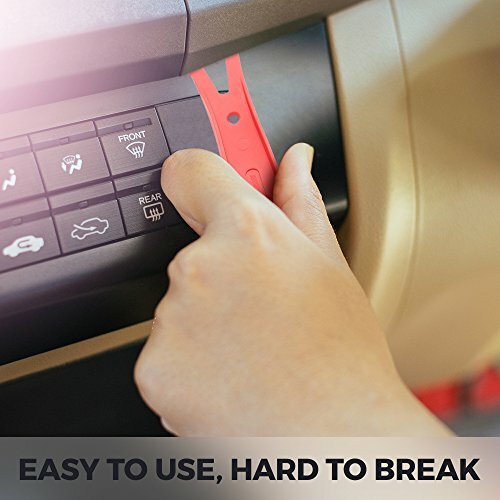 Shoontik auto removal tool is a must-have for any car owner. Our tool set will make handling your moto-friend quick and easy. Deal with removal of car trims and upholsteries, window moldings, dash boards, door panels, rubbers, plugs, radio, stereo, clips, upholstery etc. in no time. The plastic pry tool kit is made of high-quality composite nylon, which makes tools durable and flexible. It is stiff enough so you won't break the radio removal tool kit, and, at the same time, soft enough so you are not going to damage the trim. Our trim removal tool set is suitable for the most hard-to-reach and inconvenient places, where a delicate piece of work is required. Don't be afraid! There is no way you are to damage paint, leather, chrome or any other finish. 11pcs. 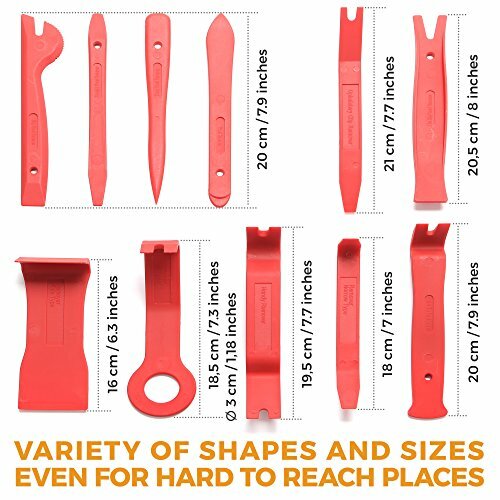 The trim removal tool set includes 11pcs of different sizes and shapes. 10-year warranty. 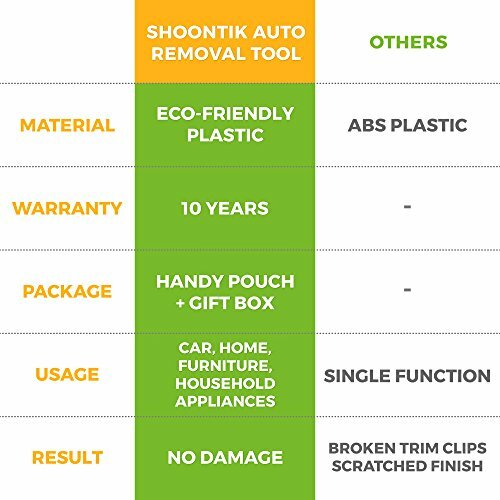 Shoontik ECO-PLASTIC pry tool kit is made of sturdy material. 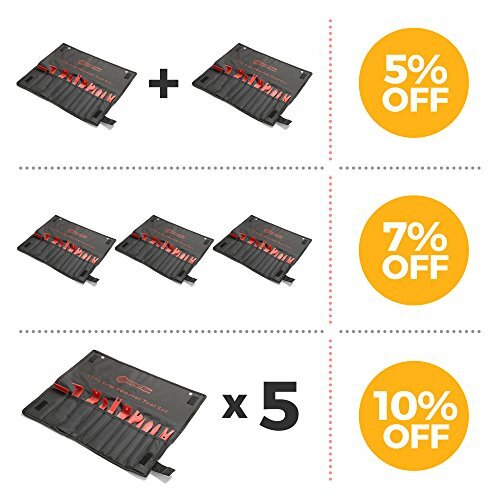 The interior and exterior trim tool kit will serve you for years. 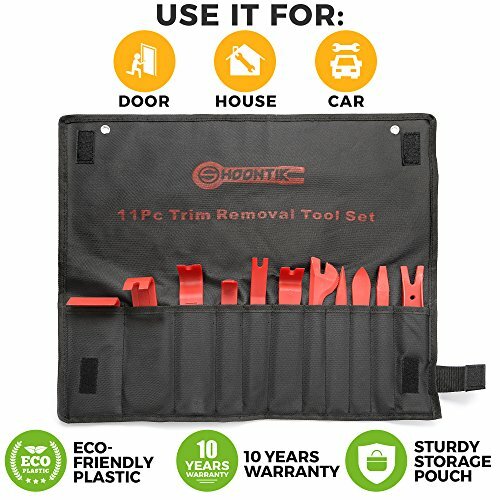 DIY: The car stereo installation tools, auto upholstery tools, door panel removal tools, windshield / window trim tool set, dashboard, molding removal tool - you can do everything with Shoontik prying tools. GIFT BOX + HANDY POUCH. A set of trimming tools is a perfect gift that will come in handy. 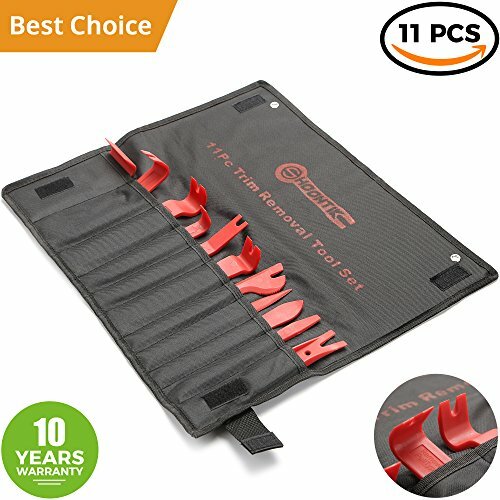 A pouch will keep fastener remover tools organized. NO SCRATCHES. Non-marring radio removal tool kit won't damage nearby surfaces and will reach the MOST HARD-TO-REACH TRIM SPOTS. 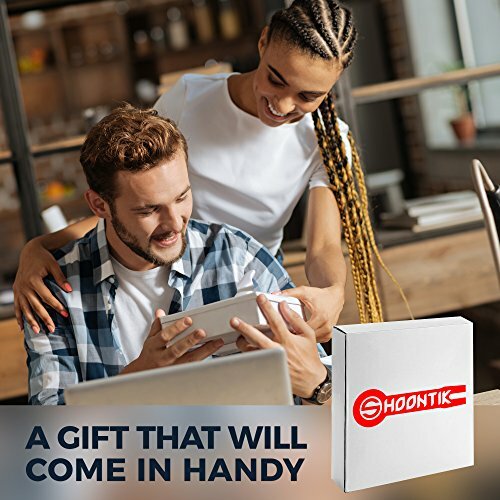 If you have any questions about this product by Shoontik, contact us by completing and submitting the form below. If you are looking for a specif part number, please include it with your message.